If you’re looking for a full-size SUV that delivers uncompromising performance, genuine luxury, and huge dimensions, then make your way from Lakeland to check out the new Chevy Suburban, available now at Stingray Chevrolet. With seating for up to eight passengers and a maximum cargo area of 121.7 cubic feet, the Chevy Suburban interior also boasts premium features like leather upholstery, heated seats, and the latest Chevy MyLink infotainment system. Check it out along with the rest of the Chevy SUVs for sale at our dealership in Plant City! Boasts 22 Highway MPG and 15 City MPG! This Chevrolet Suburban boasts a Gas/Ethanol V8 5.3L/ engine powering this Automatic transmission. WHEELS, 20 X 9 (50.8 CM X 22.9 CM) POLISHED-ALUMINUM, TRANSMISSION, 6-SPEED AUTOMATIC, ELECTRONICALLY CONTROLLED with overdrive and tow/haul mode (STD), TIRES, P275/55R20 ALL-SEASON, BLACKWALL. *This Chevrolet Suburban Comes Equipped with These Options *SUSPENSION PACKAGE, PREMIUM SMOOTH RIDE (STD) , SHADOW GRAY METALLIC, SEATS, SECOND ROW BUCKET, MANUAL, SEATS, FRONT BUCKET WITH LEATHER-APPOINTED SEATING heated seat cushions and seat backs, 10-way power driver and passenger seat includes 6-way power cushions, driver seat 2-position memory, 2-way power lumbar control and power recline (STD), REAR AXLE, 3.08 RATIO, PAINT SCHEME, SOLID APPLICATION, LT PREFERRED EQUIPMENT GROUP Includes Standard Equipment, JET BLACK, LEATHER-APPOINTED SEAT TRIM, ENGINE, 5.3L ECOTEC3 V8 with Active Fuel Management, Direct Injection and Variable Valve Timing, includes aluminum block construction (355 hp [265 kW] @ 5600 rpm, 383 lb-ft of torque [518 N-m] @ 4100 rpm) (STD), AUDIO SYSTEM, 8 DIAGONAL COLOR TOUCH-SCREEN NAVIGATION WITH CHEVROLET INFOTAINMENT AM/FM stereo with seek-and-scan and digital clock, includes Bluetooth streaming audio for music and select phones; voice-activated technology for radio and phone; and Shop with the ability to browse, select and install apps to your vehicle. You can customize your content with audio, weather and more; featuring Apple CarPlay and Android Auto capability for compatible phone; 5 USB ports and 1 auxiliary jack. * Stop By Today *Treat yourself- stop by Stingray Chevrolet located at 2002 N Frontage Rd, Plant City, FL 33563 to make this car yours today! Scores 22 Highway MPG and 15 City MPG! This Chevrolet Suburban delivers a Gas/Ethanol V8 5.3L/ engine powering this Automatic transmission. WHEELS, 20 X 9 (50.8 CM X 22.9 CM) POLISHED-ALUMINUM, TRANSMISSION, 6-SPEED AUTOMATIC, ELECTRONICALLY CONTROLLED with overdrive and tow/haul mode (STD), TIRES, P275/55R20 ALL-SEASON, BLACKWALL. * This Chevrolet Suburban Features the Following Options *SUSPENSION PACKAGE, PREMIUM SMOOTH RIDE (STD), LUXURY PACKAGE includes additional 9 months of SiriusXM Radio, (AS8) power fold third row 60/40 split bench seats, (ATH) Passive Entry System, (ATT) second row power release 60/40 split folding bench seat, (BTM) keyless start, (DL3) outside heated power-adjustable, power-folding mirrors, (KA6) heated second row seats, (N38) memory power tilt and telescopic steering column, (TC2) hands-free liftgate, (T3U) fog lamps, (UD5) Front and Rear Park Assist, (UFG) Rear Cross Traffic Alert, (UKC) Lane Change Alert with Side Blind Zone Alert and (UVD) heated steering wheel and color key rear fascia trailer hitch closeout , STEERING WHEEL, HEATED, LEATHER-WRAPPED AND COLOR-KEYED with theft-deterrent locking feature, STEERING COLUMN, POWER TILT AND TELESCOPIC, SILVER ICE METALLIC, SEATS, THIRD ROW 60/40 SPLIT-BENCH, POWER FOLD, SEATS, SECOND ROW BUCKET, POWER RELEASE, SEATS, HEATED SECOND ROW OUTBOARD SEATS, SEATS, FRONT BUCKET WITH LEATHER-APPOINTED SEATING heated seat cushions and seat backs, 10-way power driver and passenger seat includes 6-way power cushions, driver seat 2-position memory, 2-way power lumbar control and power recline (STD), REAR CROSS TRAFFIC ALERT. * Visit Us Today *Come in for a quick visit at Stingray Chevrolet, 2002 N Frontage Rd, Plant City, FL 33563 to claim your Chevrolet Suburban! Boasts 22 Highway MPG and 15 City MPG! This Chevrolet Suburban boasts a Gas/Ethanol V8 5.3L/ engine powering this Automatic transmission. WHEELS, 20 X 9 (50.8 CM X 22.9 CM) POLISHED-ALUMINUM, TRANSMISSION, 6-SPEED AUTOMATIC, ELECTRONICALLY CONTROLLED with overdrive and tow/haul mode (STD), TIRES, P275/55R20 ALL-SEASON, BLACKWALL. * This Chevrolet Suburban Features the Following Options *SUSPENSION PACKAGE, PREMIUM SMOOTH RIDE (STD), LUXURY PACKAGE includes additional 9 months of SiriusXM Radio, (AS8) power fold third row 60/40 split bench seats, (ATH) Passive Entry System, (ATT) second row power release 60/40 split folding bench seat, (BTM) keyless start, (DL3) outside heated power-adjustable, power-folding mirrors, (KA6) heated second row seats, (N38) memory power tilt and telescopic steering column, (TC2) hands-free liftgate, (T3U) fog lamps, (UD5) Front and Rear Park Assist, (UFG) Rear Cross Traffic Alert, (UKC) Lane Change Alert with Side Blind Zone Alert and (UVD) heated steering wheel and color key rear fascia trailer hitch closeout , STEERING WHEEL, HEATED, LEATHER-WRAPPED AND COLOR-KEYED with theft-deterrent locking feature, STEERING COLUMN, POWER TILT AND TELESCOPIC, SIREN RED TINTCOAT, SEATS, THIRD ROW 60/40 SPLIT-BENCH, POWER FOLD, SEATS, SECOND ROW BUCKET, POWER RELEASE, SEATS, HEATED SECOND ROW OUTBOARD SEATS, SEATS, FRONT BUCKET WITH LEATHER-APPOINTED SEATING heated seat cushions and seat backs, 10-way power driver and passenger seat includes 6-way power cushions, driver seat 2-position memory, 2-way power lumbar control and power recline (STD), REAR CROSS TRAFFIC ALERT. 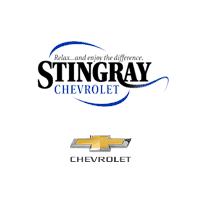 * Stop By Today *Test drive this must-see, must-drive, must-own beauty today at Stingray Chevrolet, 2002 N Frontage Rd, Plant City, FL 33563. Scores 22 Highway MPG and 15 City MPG! This Chevrolet Suburban delivers a Gas/Ethanol V8 5.3L/ engine powering this Automatic transmission. WHEELS, 20 X 9 (50.8 CM X 22.9 CM) POLISHED-ALUMINUM, TRANSMISSION, 6-SPEED AUTOMATIC, ELECTRONICALLY CONTROLLED with overdrive and tow/haul mode (STD), TRAILER BRAKE CONTROLLER, INTEGRATED. *This Chevrolet Suburban Comes Equipped with These Options *SUSPENSION PACKAGE, STANDARD, INCREASED CAPACITY, PREMIUM SMOOTH RIDE with Air leveler, MAX TRAILERING PACKAGE Includes (GU6) 3.42 rear axle ratio, (JL1) Trailer brake controller and (Z85) Suspension Package. 4WD models also include (NQH) 2-speed active Transfer case.) , TIRES, P275/55R20 ALL-SEASON, BLACKWALL, TIRE, SPARE P265/70R17 ALL-SEASON, BLACKWALL, SEATS, SECOND ROW BUCKET, MANUAL, SEATS, FRONT BUCKET WITH LEATHER-APPOINTED SEATING heated seat cushions and seat backs, 10-way power driver and passenger seat includes 6-way power cushions, driver seat 2-position memory, 2-way power lumbar control and power recline (STD), REAR AXLE, 3.42 RATIO, PAINT SCHEME, SOLID APPLICATION, LT PREFERRED EQUIPMENT GROUP Includes Standard Equipment, ENGINE, 5.3L ECOTEC3 V8 with Active Fuel Management, Direct Injection and Variable Valve Timing, includes aluminum block construction (355 hp [265 kW] @ 5600 rpm, 383 lb-ft of torque [518 N-m] @ 4100 rpm) (STD). * Visit Us Today *For a must-own Chevrolet Suburban come see us at Stingray Chevrolet, 2002 N Frontage Rd, Plant City, FL 33563. Just minutes away! The new Chevy Suburban price starts at $50,600 MSRP, and you’ll find a number of financing options available to you near Tampa at Stingray Chevrolet. Remember to count on our Chevy service center in Plant City for all your Chevy maintenance and repair needs, too. Our certified technicians and knowledgeable sales team are here to help, and you can reach us with questions at (813) 359-5000.